With the Euroleague Final Four taking place this weekend, you will want to make sure that you keep in touch with all of the games. The only problem is, you may find that life gets in the way of your basketball watching activities. This is the case for many people. If you find that you are struggling to stay in touch with the games on TV, there are plenty of other ways you can catch every moment of action. If you are out and about or taking care of business, you should find that social media is a great way to stay involved and savouring every moment of the big basketball action. One of the best ways to stay in touch with major sporting events is through Twitter. Twitter is fast, snappy and it gets to the point, so you’ll love this if you don’t have a lot of time to spare to keep in touch with what is taking place in Milan at the Final Four. Your first stop should be the official Euroleague Twitter page, which you will find right here. This will ensure you hear all of the official news and updates, and you may get some insight into what is going on behind the scenes. However, if you are looking to catch the real excitement of the weekend, you want to be in touch with fans that are loving the event and having a great time. 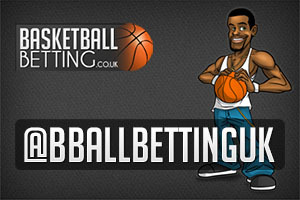 At Basketball Betting, we have been looking forward to the Euroleague Final Four for some time and you know that we are going to be at the heart of the action in Milan. If you want to get all of the latest news and stories from the Final Four while getting to enjoy all of the fan action, make sure you check us out with our Basketball Betting Twitter page because we are going to keep you updated with everything you want or need to know during the event. If you are staying in touch with your smartphone, you will find that there is a Euroleague Final Four app, and it is excellent. You get a great deal of content, news, statistics, focus on players and all of the background information that will help you to get much more enjoyment from the main event. You can download the app for Android phones and for iPhones, so get involved with the app movement for the Final Four. We’re also going to be on Facebook so if you are hanging out and socialising with your friends, you will also have the chance to keep in touch with us. If you want the best fan content from the event, connect with us and we know that you will really LIKE what is going on, in fact, you’ll LOVE it! We also love YouTube and there is plenty of great footage behind lined up by the official Euroleague YouTube channel, we’re going to be checking in regularly and we recommend you do the same, because you will find plenty of great fresh content. If you get a good internet connection, you could even watch the big games while you are on holiday, lazing by the pool. If you are fortunate enough to be kicking back and relaxing, basketball is the perfect addition to your day but you may be inspired by your favourite basketball players. You may not be able to transform your holiday swimming pool into a basketball loving oasis like the one in the video below put together by the sponsors of the Euroleague Final Four, but if you are laying back and relaxing while you have some of the best basketball action unfolding in front of your eyes, we are sure you won’t mind! We do have to be serious for a second though, you shouldn’t try to copy this video at your holiday pool! That video is just too good to give you just one clip so if you want to find out a bit more about how it was all pulled together, check out the Behind The Scenes of the video clip. The fact that some of the big names of European basketball were involved should be more than enough to reel you in but there is a real sense of joy at the end when they final achieved the slam dunk. When you see how much was riding on it and the effort it took to get it right, this is completely understandable. So with Twitter and YouTube, you are completely covered for all of the news, reviews, updates and action, which is great, but what about the games themselves. There are two main places where you can see all of the semi-finals, 3rd/4th match and the Grand Final when you are online. If you want to see an upset or the big teams getting the job done, you have options. If you are looking to find a paid source, you’ll find all of the Euroleague Final Four action taking place at the Live Basketball TV site. If you are looking to watch the games for free, you will find that Bwin is screening the Euroleague Final Four events.